90.5 Million Nigerians are unemployed. Can you count how many times you have responded to an interview invite and still did not get close to getting a job in Nigeria? Well, you are not alone. 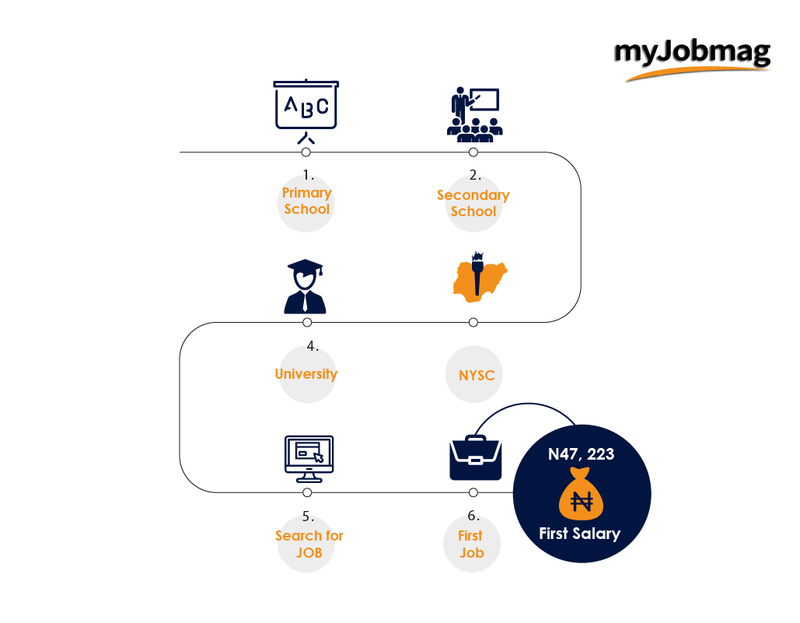 To help with accurate answers to the above questions, we surveyed over 3,700 job-seekers in Nigeria (that are passively and actively searching for a job) to learn more about their experiences in a job market that doesn’t favor them. 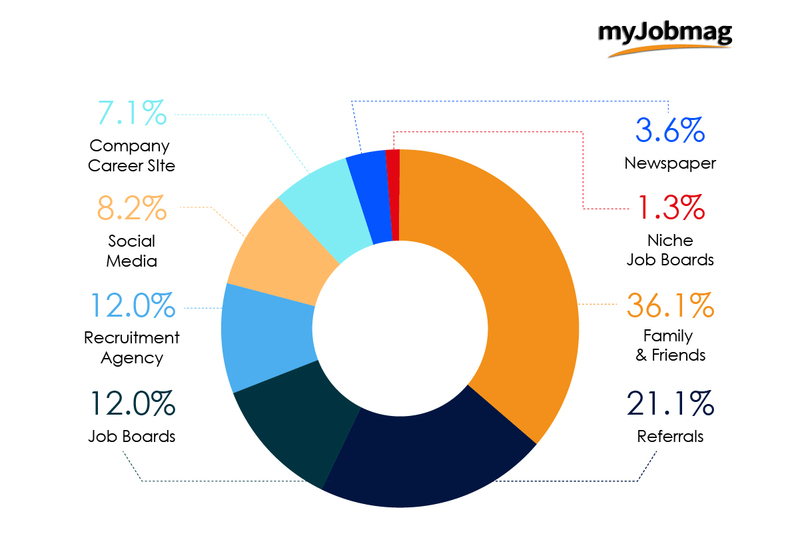 We surveyed 3788 job-seekers (that are actively and passively) searching for jobs. 1, 526 people that took the survey are employed and a total of 2, 262 people that took the survey are unemployed. 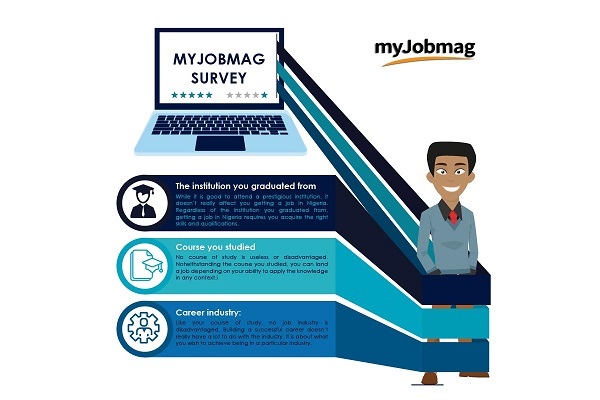 The essence of the job-search survey is to show what works in the employment market, how people get jobs and other deep insights into the industry. 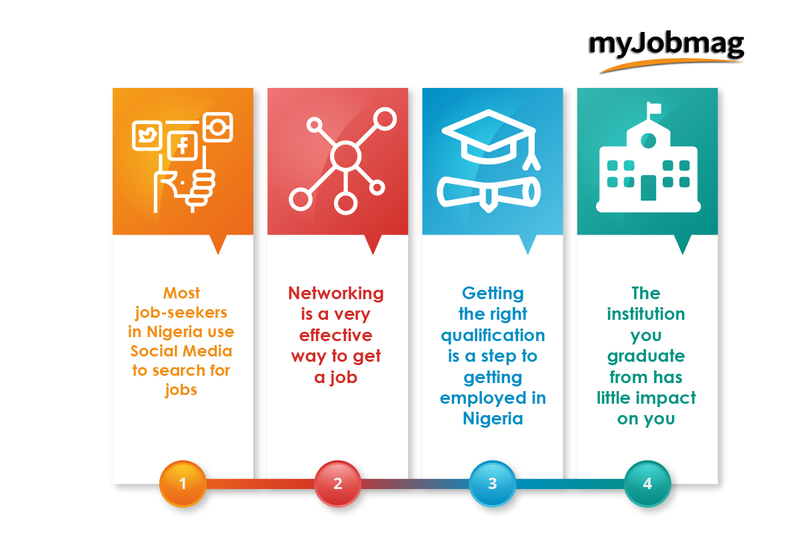 It means that a majority of job-seekers in Nigeria think they are unemployed because they don’t have connections or because there are too many applicants, but is that really the case? Looking at the survey, only 4.5% of unemployed Nigerians agree that they are unemployed because they are not qualified. Now, does it means that only this percentage of people are unqualified and every other unemployed person in Nigeria is qualified? From the survey, we found out that 61.2% of employed Nigerians secured a job because they were qualified. So why do you think many Nigerians are unemployed? Summary: Since 61.2% of people got their jobs because they are qualified, then unemployed people should look forward to building their qualification to get a job in Nigeria. According to the NBS report of 2018, 115.5 million Nigerians belong to the working age, and 90.5million people out of the working population are unemployed. It means that the total number of employed people in Nigeria is about 25 million. Now the question is what exactly did the 25 million employed Nigerians do, that helped them in getting a job? From the data above, it is quite obvious that most people that are employed in Nigeria got their jobs through networking (family/friends, referrals, and social media). From the data above, we can categorically state job-search tools that are not effective and tools that are most effective in Nigeria. From the data, 36.1 people got their jobs through family and friends. Based on the survey that we carried out, we noticed that very few employed Nigerians got their jobs through newspapers and niche job boards. So what does this mean? Newspaper: From the recent trends in technological advancement and the coming of the internet, there has been a great reduction in the number of people that depend on the traditional press for the dissemination of information. 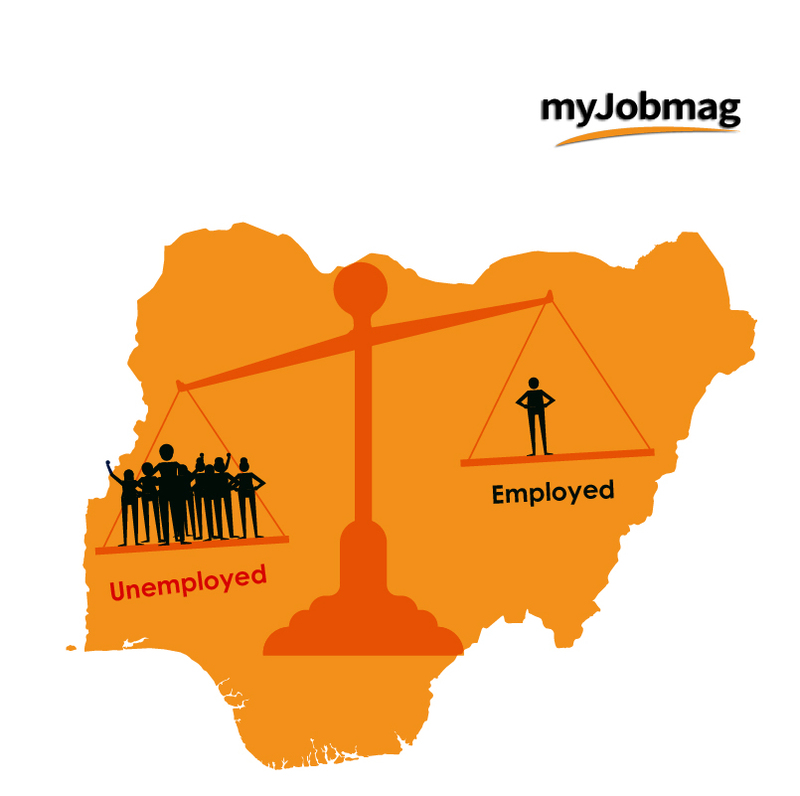 Based on our survey, only 3.637% of employed Nigerians got their jobs through newspapers. This means that searching for jobs in newspapers is a practice that is gradually going on extinction. So if you are depending on newspapers to get a job in Nigeria you may likely be missing out on some great stuff. 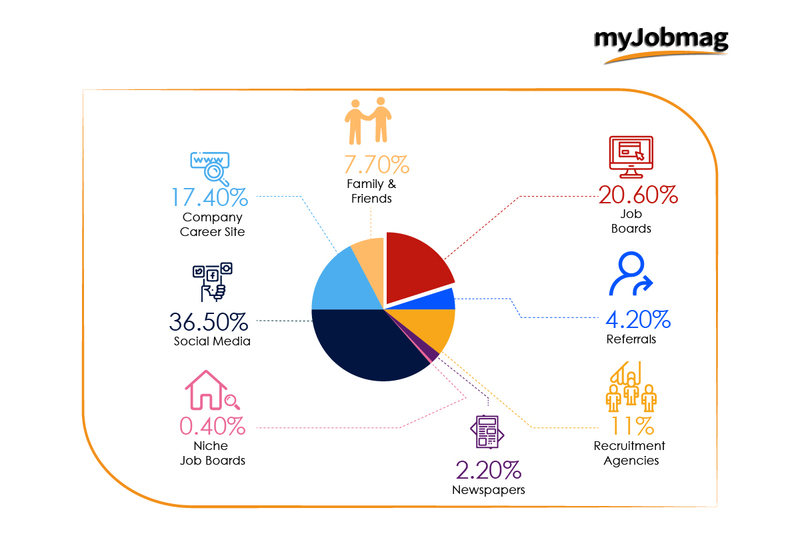 Niche Job boards: From our research, only 1.29% of employed Nigerians got their jobs through niche job boards. It is obvious that niche job boards are not so popular in Nigeria, and as such very few people use them. From the survey, we discovered that it takes an average Nigerian graduate 9 months to secure a job after the compulsory National Youth Service Corps program. Also, we observed that the major factor that leads to employment delay is not acquiring in-demand skills/qualification. Hence, acquiring the right skills and qualification will enable you secure your first job in less than 9 months. Based on the survey, we noticed that there are some factors that will likely not affect your employment status in Nigeria. Looking at the 90.5 million unemployed people in Nigeria, it is quite easy for anyone to cast the blame of unemployment on anything. Despite the many causes of unemployment in Nigeria, we discovered that these factors will likely not be the reason why you are currently unemployed. Taking the survey has helped us understand the process of job-search in Nigeria and how it affects the rate of unemployment. 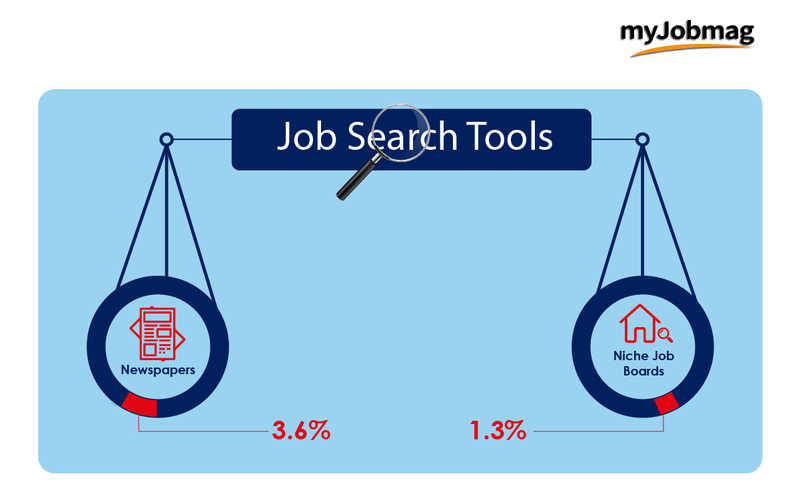 Getting to understand the job-search process, the survey analyses how people search for jobs and get employed in the present economic situation. The higher the rate of employment the more advanced a country will be. With 59.73% unemployment rate according to the survey, it is obvious that we have to review our job-search process to reduce the rate of unemployment in the country. To get and make the few jobs accessible, hiring managers and job-seekers alike are to discover the job-search medium that works, how it works and to better make good use of it. 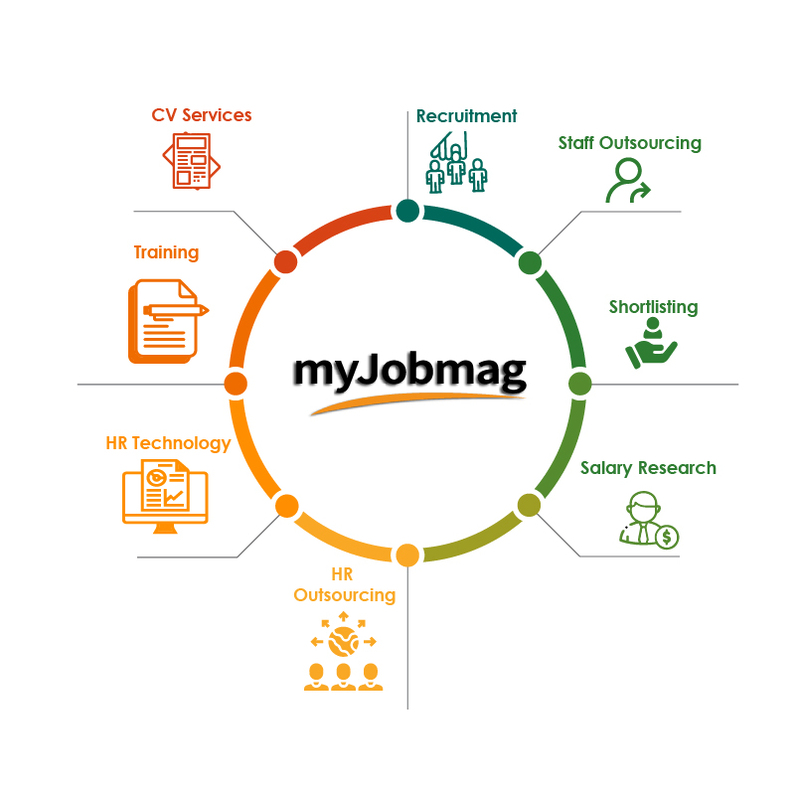 At MyJobMag, we work relentlessly every day because we believe that there is a better way to match job-seekers with employers. A technology driven and less expensive way where our customers get value in return rather than merely buying our services. We are extremely passionate about providing Recruitment solutions that work. Our mission is to solve employment challenge in Africa as well as improve employee quality and talent discovery. We have leveraged on our technological expertise to make sure that we serve employers better and ensure that we assist job seekers by providing the latest verified job adverts and career information. We are excited about the job-search and recruitment solutions that we offer across Africa through our technology, career/business advice and recruitment services.